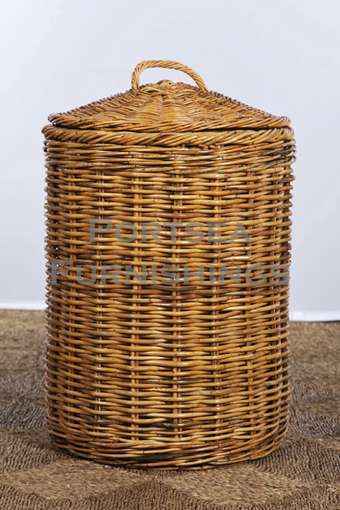 These round laundry baskets are made from strong, hard wearing rattan. The large one is big enough for the the whole family and the small one for is useful for singles. Great for your change room, bathroom or bedroom, our round laundry basket fits nicely in the corner. 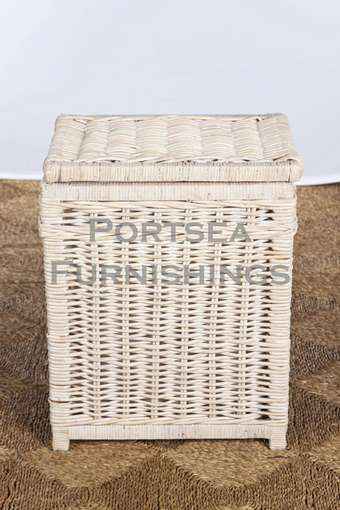 We also have very nice rectangle laundry baskets made from wicker and other materials with a calico liner. Uses include laundry basket, wastepaper basket or toy basket. 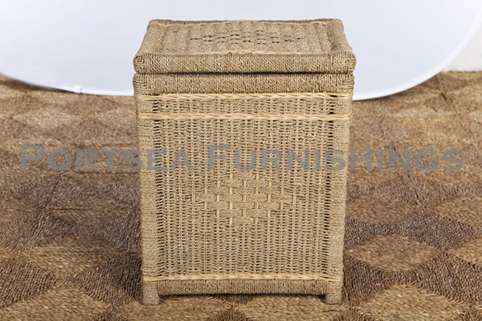 Only available in natural rattan. 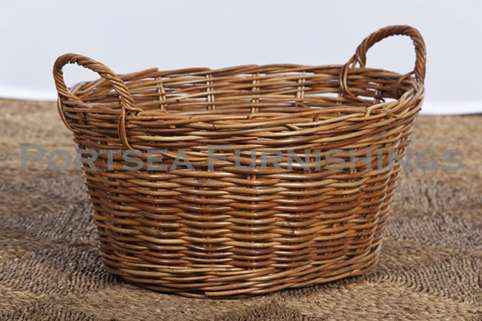 LARGE DIMENSIONS: 50 x 50 x 65(76) cm H PRICE $ 115.00 SMALL DIMENSIONS: 45 x 45 x 56(72) cm H PRICE $ 84.00 * measurements in brackets refer to size of the basket including lid.